ICYMI, Kathryn Bernardo Got A New Haircut + Hair Color! She went shorter AND lighter. For most of 2018, Kathryn Bernardo stuck to her chocolate brown, almost-waist-length tresses and wispy bangs. She occasionally changed it up, like when she donned a sleek low ponytail at the 2018 ABS-CBN Ball. But for 2019, she's gone shorter and lighter! Her medium-length locks, curtain bangs, and highlights—which were all done by none other than celebrity hairstylist Jing Monis—make her look like she just had the best holiday beach trip! If you want the same summer-inspired 'do, ask your hairstylist to paint your strands with a neutral light brown shade, followed by sandy brown highlights to acheive a ~*sun-kissed*~ finish. But FYI, a cut + color like Kath's will cost you a few thousand pesos so you should properly take care of it to prolong the color's vibrance. 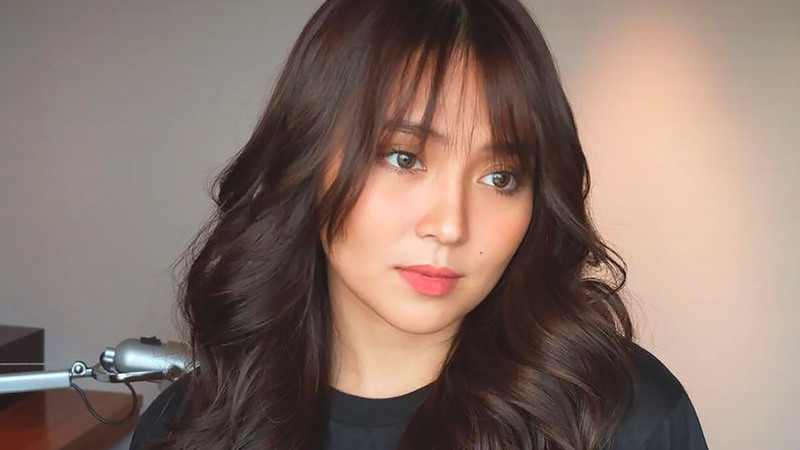 Some things to remember once you've achieved Kath's 2019 lewk: Use a sulfate-free, purple shampoo at least once a week to prevent orange or brassy tones from appearing, and don't forget to apply a heat protectant spray on your tresses before using a hot styling tool as using high heat on colored hair will make the dye fade faster.